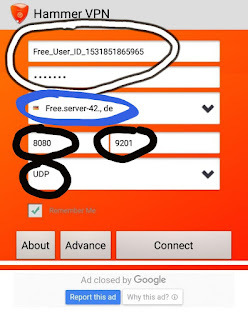 ❇ Is This MTN Hammer VPN Cheat Unlimited? 500MB per day using this cheat. Interesting right? First box is 8080 and second box is 9201. >>> Then Connect and wait for about 10 seconds for the vpn to establish a connection and then finally get connected. Once it gets connected, launch your browser and start browsing, streaming and downloading. post them in the comment box below. Comment on "Latest MTN Hammer VPN Free Browsing Tricks For 2019"